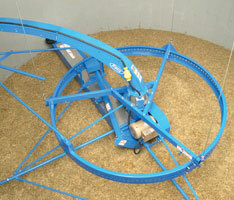 Available in XH (Extra Heavy) units, ideal for use with dense bales and also prolonging wear life. 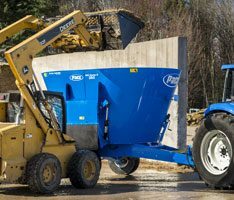 Engineered to complement our standard knives, the Patented RAPTOR™ knife features a forward-facing design to dig in, hook, & cut bales faster and more aggressively. Built to last with AR steel, the RAPTOR™ knife is ideal for high-hay rations including large round or square bales and/or baleage. RAPTOR™ knives should be used in the first two or three slots from the top of the screw down, depending on knife formation. 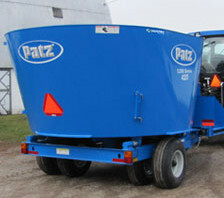 Available for all Vertical Mixer Series. Choice of five knife sizes. 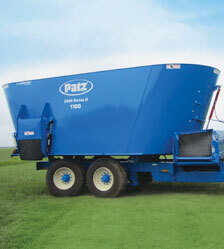 Contact your local Patz Mixer Dealer for details. 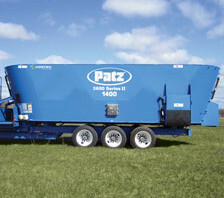 Available on the 1,100 cu. 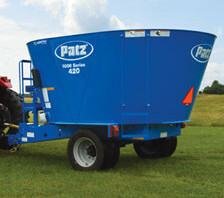 ft Patz 2400 Series II Trailer Twin Screw Vertical Mixer: Self-steering rear axle with heavy-duty spring suspension and four super single truck tires. 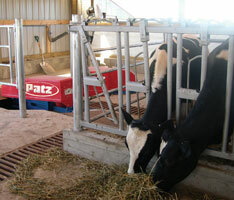 Rear axle self-steers utilizing lateral forces that are applied to the tires from contact with ground. 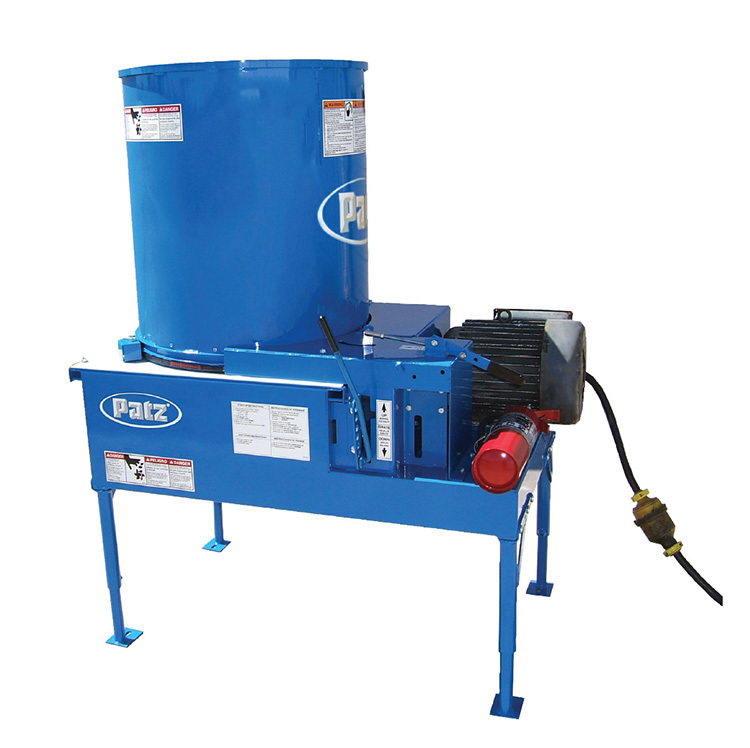 The forces steer the implement in the appropriate direction, minimizing tire wear and stresses on axles, hubs, spindles, and suspension pipe. 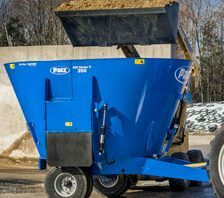 Choice of 2-speed manual shift, hydrostatic push button Powershift, or Autoshift (shifts transmission automatically) drive packages. 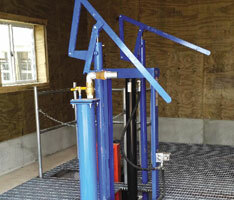 Includes oil cooling system. 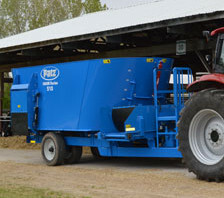 Optional hydraulic control center allows total control of multiple discharge doors all with the use of just one tractor port. 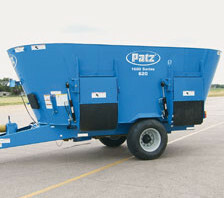 XH (Extra Heavy) units feature a welded steel tub with 3/8" thick walls and a 3/4" reinforced bottom.